Waterman Fountain pens come in many different designs, they’re undoubtedly one of the best manufacturers of fountain pens in the world. We’ve put together some information on the best waterman models of fountain pen to help your decision when it comes to purchasing a pen as a gift or for yourself. To begin with, the design is what sets the pens apart with the functionality being the same. Waterman pens are a bit pricey – hence it helps to know which one would suit your needs and style before you purchase. The Waterman pens are a statement and we’ll review the designs of all of them. Edson: This pen is available in two colours – Blue Sapphire and Black Diamond. It’s a great pen to have if you use it to everyday writing as its frame is sturdy and the ink flows really well even at an altitude. The nib is set into the barrel which furthers its sleek design. The risk of ink leakage is greatly minimized because of the complex construction of the pen. Elegance: This pen gently merges the line with jewellery. Intricate designs on its exterior and engravings on the 18 carat gold nib make it nothing short of a sophisticated investment. This is perfect for someone wanting to make a luxurious statement while signing a contract. Exception: Unlike many fountain pens, Exception employs a square figure (hence the name). This ensures a stronger grip while writing and its gold plated exterior makes it a fine statement. It also comes in a silver design. Carene: The figure of this pen employs geometrical design that is trendy and elegant. The 18 carat gold nib is integrated into the body giving the look of a silhouette. Charleston: This one is a combination of the look of vintage fountain pens with a modern twist. Charleston is one of the oldest productions of the Waterman. It has a curvy exterior and is influenced by the Hundred Year Pen. Perspective: This pen is for the modern and trendy. The design includes a thinner overall look with parallel lines running across its entire shape. Its silver nib too has these parallel lines engraved on it. Using architecture as inspiration for the design, the parallel lines give off the image of an infinite loop. Expert: This pen is beautifully shaped like a cigar. This pen features Parisan styling combining retro and modern look. This one is sturdy and perfect for someone on the go. Hemisphere: This pen is much slimmer than all of the above discussed pens. It has a clean minimalistic design with a silver nib that is fashioned with engravings. The body of the pen gives a polished silk look. 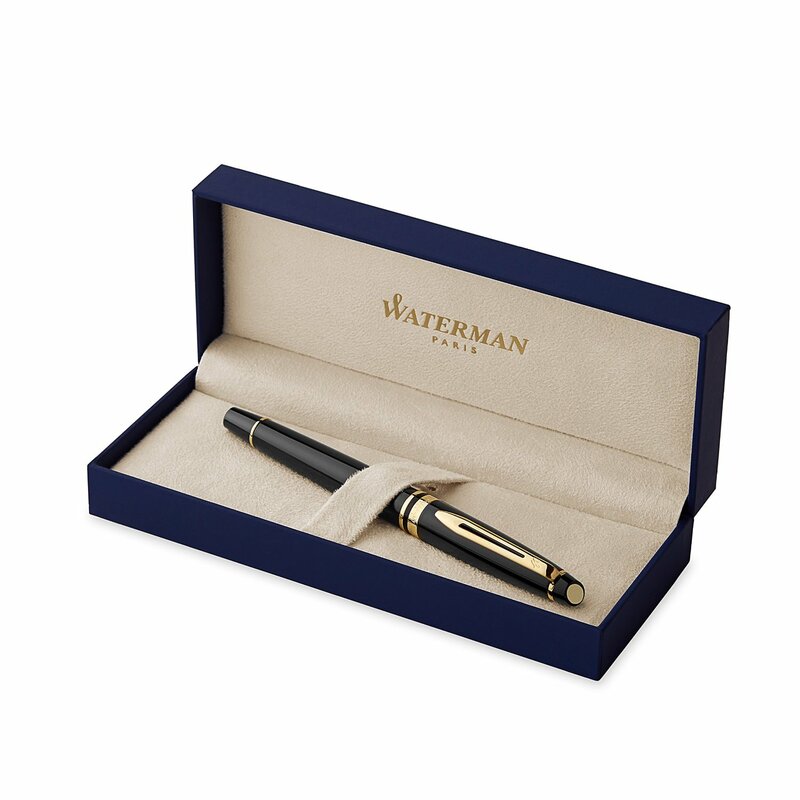 All of the Waterman Fountain pens come with the choice of using an ink cartridge or a convertor. Waterman pens write really smooth without scratching the page. Being a product of France, Waterman pens require an investment to be made, but one that is always worth it. Having discussed a little about all the pens, the best one is Edson because only that ensures uninterrupted ink flow no matter the angle, after all the main purpose of writing with a fountain pen is to ensure good writing and free flowing ink.